Mumbai, Aug 19 (IANS) Actress Soni Singh believes that a star’s success begins with his or her fitness. “My or anyone’s success in the glamour industry begins with the individual’s fitness. I like to workout not only to look fit, but also to feel fit. To deliver your best act on screen, a good body is the base for a stable mind,” she said in a statement. “Hence, I spend a considerable time at the gym,” she added. On the work front, Soni, known for shows like “Yeh Vaada Raha” and “Sumit Sambhal Lega”, plays a warrior on the show “Aarambh”. 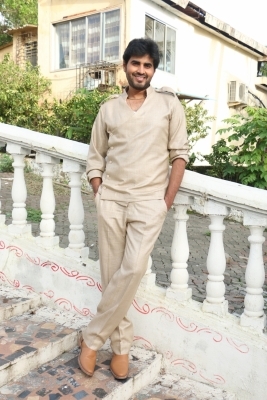 Yash Sinha says that as an actor, he doesn’t want to limit himself. “As an actor, I don’t want to limit myself. I want to do challenging roles where I can examine my acting skills and can inspire my audience for good. Be it TV, Bollywood or digital, I’m open to all,” Yash said in a statement. The “Badrinath Ki Dulhaniya” actor has featured on shows like “Bhagyavidhaata” and “Code Red”. Actress Ushma Rathod says she enjoys playing the guitar, and also teach others. “Music brings positivity all around. It brings freshness from inside. I love playing guitar. Training someone polishes my skills and also helps to share my talent with someone. I have students who come to learn from me. “Being an actress, I also take interest in music and dance. Playing guitar is my hobby as well as a blessing,” she said in a statement.